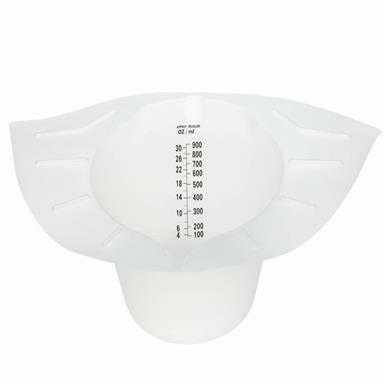 Features graduated measuring device/volume scale and reinforced ribbing for durability. Fits any standard size commode or toilet seat. Translucent in color, 900mL capacity.